bone transplanted from a donor site to a recipient site, without anastomosis of nutrient vessels; bone can be transplanted within the same person (that is, autograft) or between different people (that is, allograft). the transplantation of a piece of bone from one part of the body to another to repair a skeletal defect. 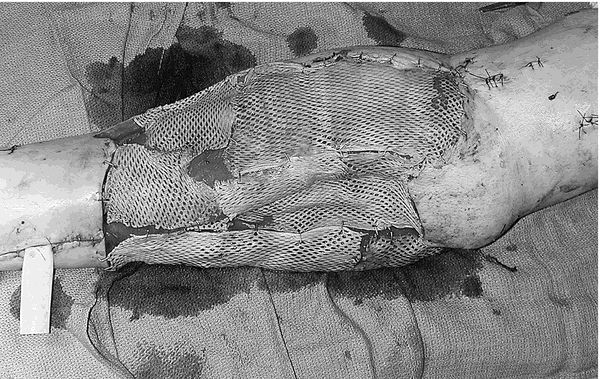 Sterilised bony tissue, often of cadaveric origin, used to fill and/or “sculpt” bone defects. Spinal fusion, revision of failed articular prostheses, filling traumatic or malignant bone defects, or periodontal defects. Orthopedic surgery Sterilized bony tissue, often of cadaveric origin, used to fill and/or 'sculpt' bone defects Indications Spinal fusion, revision of failed articular prostheses, filling traumatic or malignant bone defects, or periodontal defects. See Tissue bank. 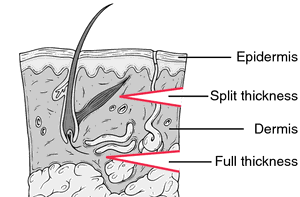 Osseous matter transplanted from a donor site to a recipient site, without anastomosis of nutrient vessels; bone can be transplanted within the same person (i.e., autograft) or between different people (i.e., allograft). 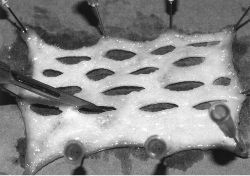 Bone transplanted from a donor site to a recipient site, without anastomosis of nutrient vessels; bone can be transplanted within the same person (i.e., autograft) or between different people (i.e., allograft). To date more than 60 procedures have been successfully completed using i-Factor Flex FR biologic bone graft, primarily in spinal fusion applications, the company said. This study demonstrates that StronBone[TM] Bone Graft Substitute results in rapid regeneration of high-quality bone and slower resorbtion of bone in vivo. This prospective, single-blinded, multi-centre, randomised, non-inferiority pivotal IDE study will evaluate the safety and efficacy of P-15L Bone Graft compared to autologous bone graft when applied in TLIF surgery. Radiographic consolidation of bone graft over the defect was noted in all our patients. Socket preservation forms the largest application segment in the global dental bone graft substitutes market. Infuse Bone Graft is used with certain Medtronic interbody fusion devices to treat lumbar degenerative disc disease. 7 months, and the average follow-up for rTSA patients with glenoid bone graft was 34. 1,2) The ideal bone graft contains osteoinductive, osteoconductive, and osteogenic properties. In group A the cancellous bone graft was harvested from the anterior iliac crest while in group B the cancellous bone was harvested from the anterior iliac crest and mixed with Synthetic bone substitutes in 1:1 by volume. Westminster, CO), a medical device company pioneering the use of peptide enhanced bone grafting materials in spine, trauma and orthopedic surgery, is pleased to announce it has surpassed another significant milestone with more than 10,000 patients treated with i-FACTOR[TM] Peptide Enhanced Bone Graft since the product became available outside the United States in late 2008.